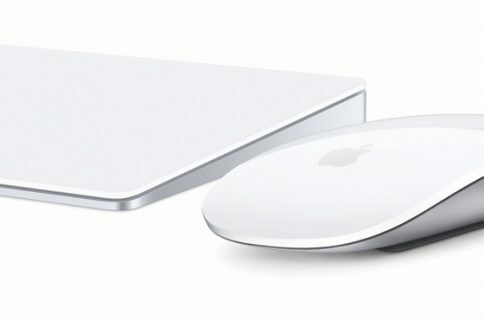 Some of the shared chips and technologies used in the Magic Mouse 2, Magic Keyboard and Magic Trackpad 2 include the same wireless chips, similar built-in rechargeable batteries, pairing and charging over Lightning and more. 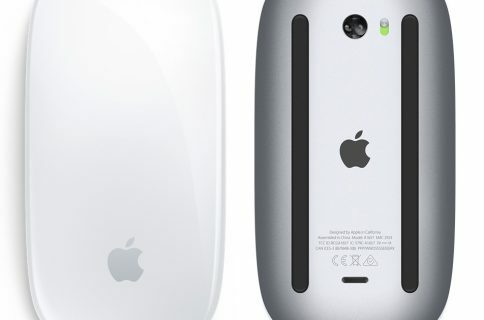 Featuring literally unchanged design from the original Magic Mouse, the only real change for the new Magic Mouse 2 is an internal rechargeable battery and a Lightning port for both charging and pairing. With the upper casing lifted up, a capacitative array is shown in its full glory, which detects touch and gestures on the mouse’s surface. A spring mechanism provides some resistance and distributes force when the entire mouse is clicked. 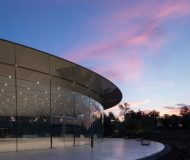 “As a common failure part for computer mice, it’s nice that Apple used a fairly standard and easily-sourced switch—although its replacement will require dealing with all of that glue (and soldering in the replacement switch),” noted iFixit. Unlike the other Magic devices that sport a Lightning port on their side, Apple’s designers have come up with the most unlikely place to put a Lightning port. However, as our own Jeff Benjamin points out, this isn’t really such a big problem it’s being made out to be. “The Magic Mouse 2 is temporarily useless when wired—unless you plan to use your forehead as a mousepad,” iFixit remarked jokingly. 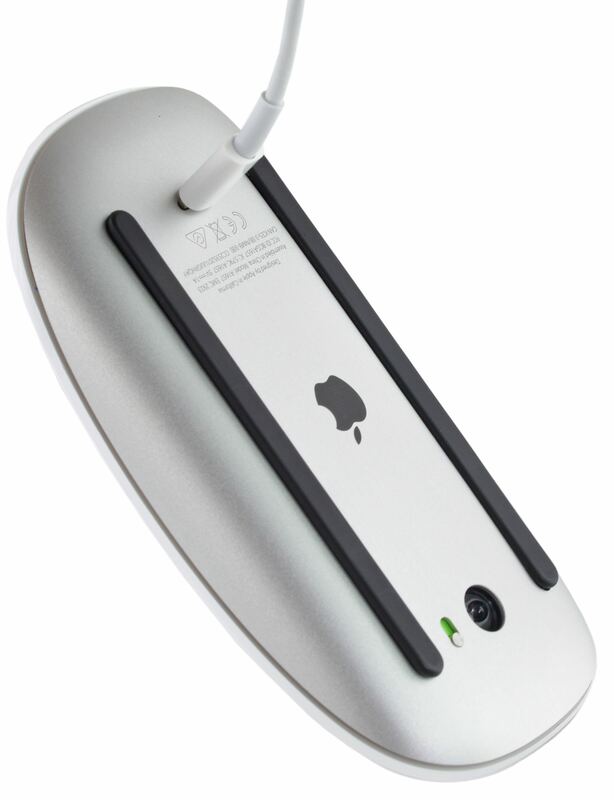 The Magic Mouse uses a 3.76 V, 7.28 Wh, 1,986 mAh lithium-ion battery capable of holding about nine percent more juice than the one inside the iPhone 6s. The device bears a model number of “A1657”. Measuring in at 0.43 × 6.3 × 4.52 inches, the Magic Trackpad 2 is about an inch wider and quarter inch deeper than its predecessor and has around 6 square inches of additional tracking surface. The Magic Trackpad 2, of course, features Multi-Touch and is the only new Magic device with built-in Force Touch. A Lightning port and a power switch on the back are joined by a plastic bar that iFixit identified as a break in the metal for a Bluetooth antenna. Broadcom BCM5976 Touch Controller (Part of the same series of Broadcom touch controller chips used in many Apple devices). 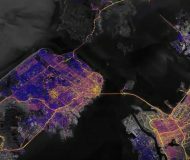 The device uses a 3.78 V, 7.65 Whr, 2,024 mAh lithium-ion polymer battery which falls short of the 2,750 mAh battery inside the iPhone 6s Plus. 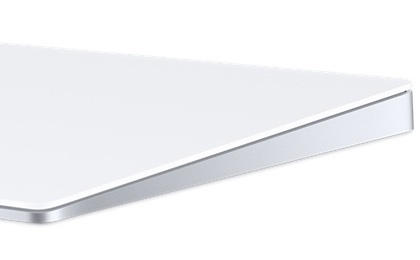 As mentioned, the Magic Trackpad 2 files as the only Magic accessory to come with haptic feedback via Apple’s built-in Taptic Engine resembling that in both the Retina MacBook and MacBook Pro. The entire trackpad rests on four springy metal tabs which are secured with clear adhesive pads. 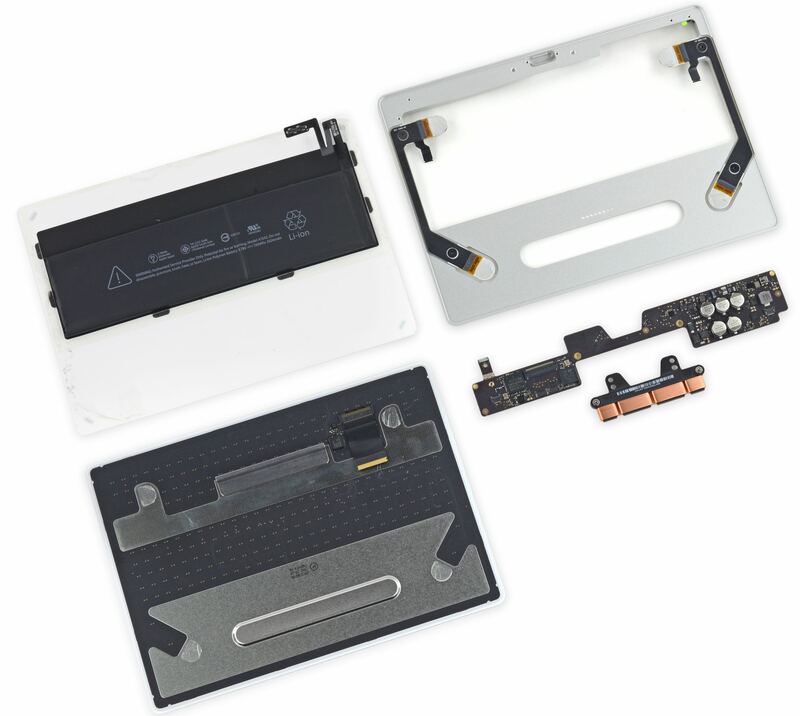 The strain gauges mounted on each of the four spring tabs measure the force applied to the trackpad surface. 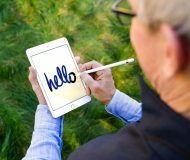 “As you press down on the trackpad, the springs deflect, stretching the strain gauges and increasing their resistance. 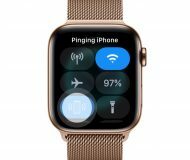 A micro controller measures that resistance and determines the appropriate level of haptic Taptic feedback to deliver,” iFixit writes. It’s interesting that this trackpad is held together by adhesive tape rather than screws. The device has a model number “A1535”. This accessory measures in at 0.43 × 10.89 × 4.52 inches and sports full-size left and right arrow keys and function keys like the slightly revised 2015 MacBook keyboard. With the integrated battery, the battery tube is gone so the keyboard has a lower profile matching that of the Magic Trackpad 2. 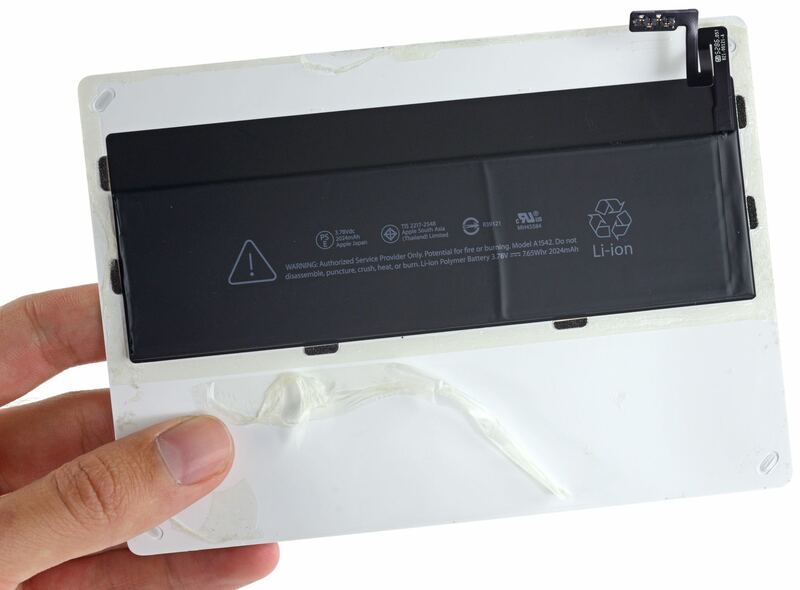 Its integrated battery package is rated at 2.98 Wh, or less than half the capacity of the 6.55 Wh battery inside the iPhone 6s. “But with less to do the battery should last for months on a single charge,” said the repair firm. The good news is, the battery is “somewhat replaceable” as it isn’t soldered. Unlike the 12-inch MacBook’s butterfly key mechanism, the Magic Keyboard uses an improved scissor mechanism which increases the stability and improves key travel. Speaking of which, the keys have just 1 millimeter of travel and press completely flat. 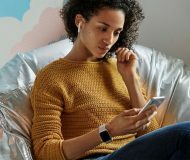 As I previously noted in my post titled ’10 things I dislike about Apple’s new Magic devices’, Apple’s new keyboard and mouse both require a Bluetooth-enabled Mac. However, the Magic Trackpad 2 specifically requires a Bluetooth 4.0-enabled Mac—even though all three devices use the same Broadcom BCM20733 Bluetooth 3.0 chipset. 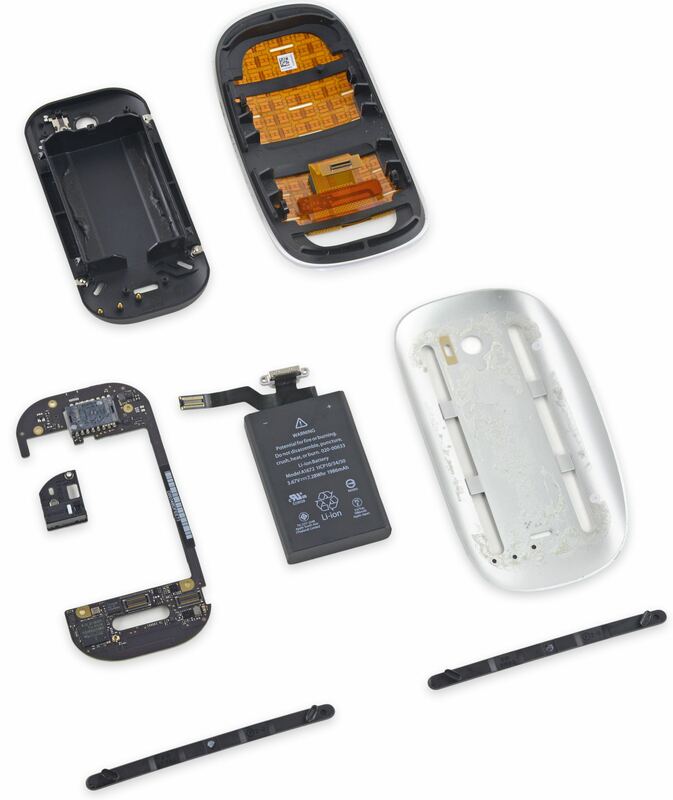 The Lightning port and battery inside the Magic Mouse can be replaced independent of the logic board, but they’re provided as a single component. 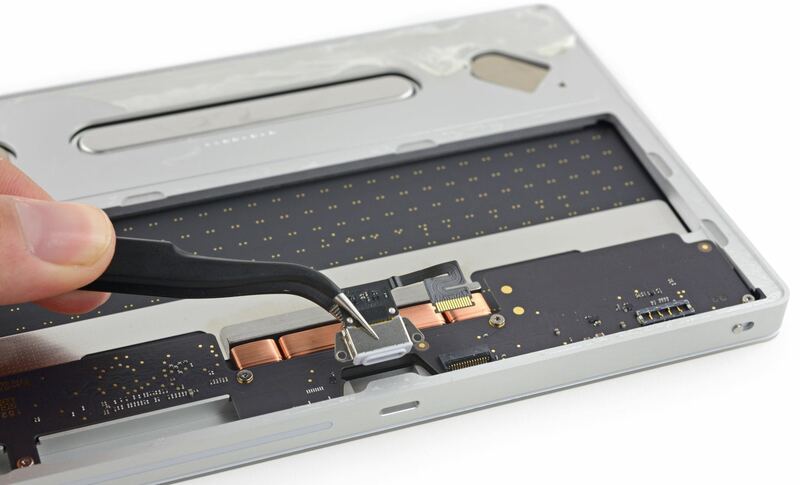 The Lighting connector cable inside the new trackpad is unsoldered and removable, which is good news as Lightning I/O can be a common point of failure due to frequent use. Both the Lightning port and the battery can be replaced independently. 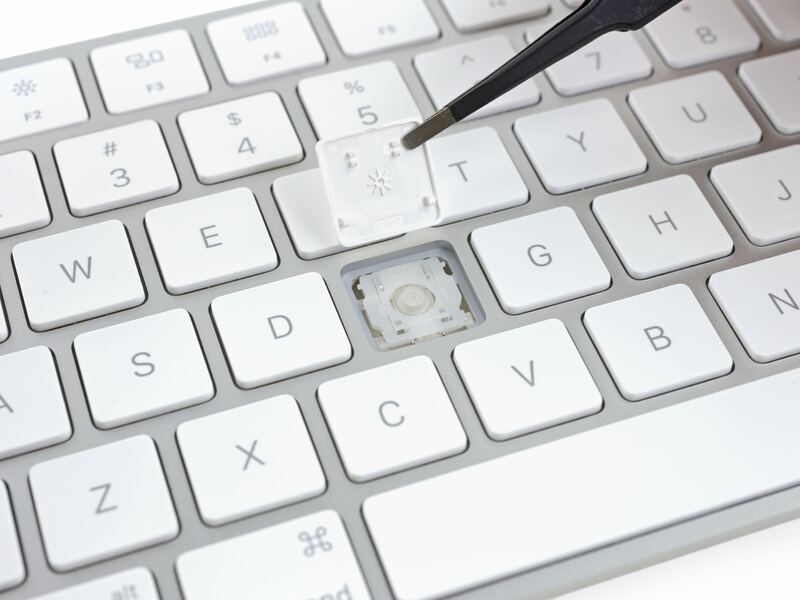 However, replacing a damaged trackpad surface will entail cutting and reapplying the adhesive on the spring tabs. 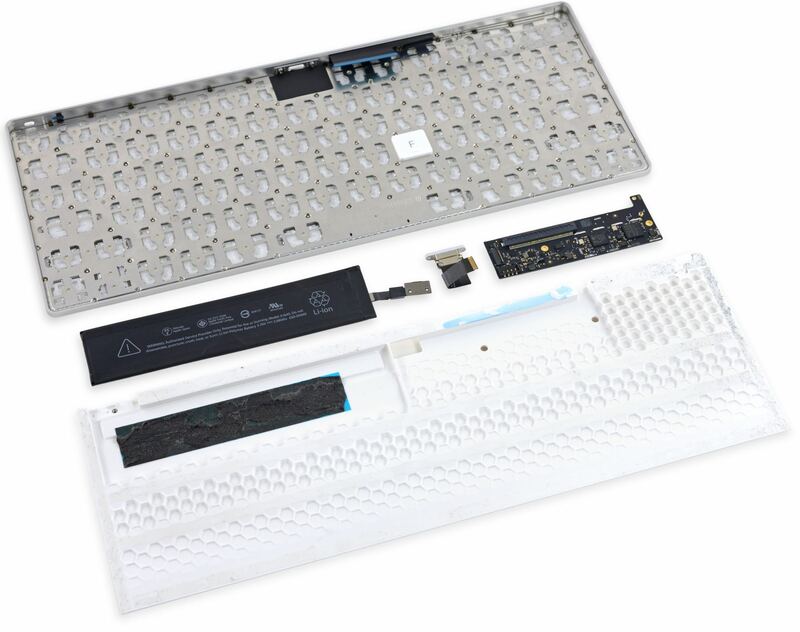 As for the Magic Keyboard, its Lightning port and battery can be replaced independently of the logic board and the keycaps are removable and replaceable. 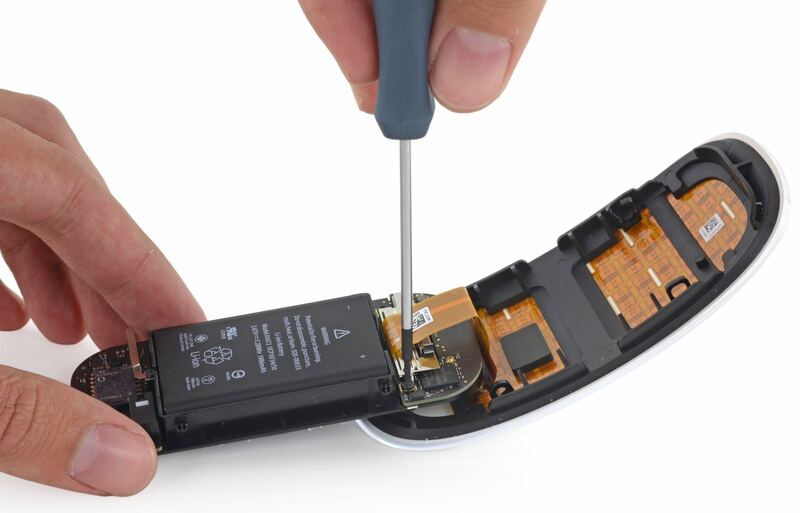 All told, without a service manual it is very difficult to open the new Magic devices without damaging their internal components such as optical sensors, power switches, the Taptic Engine and other parts, iFixit cautions. Have you already purchased one of these Magic accessories? And if so, would you care to share your experience with others in the comments below?